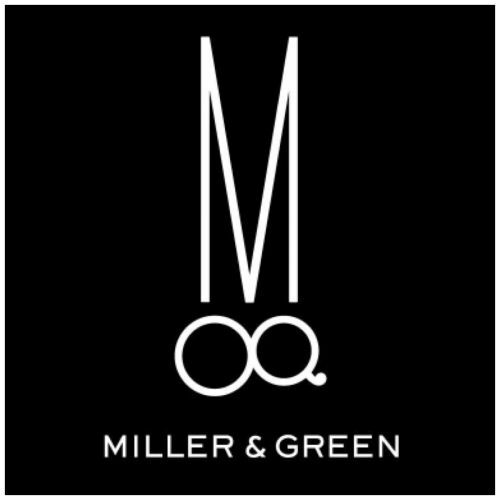 Miller and Green hairdressing launched in 2007 with the intent to set itself apart from other hair salons. Since then it has built up a reputation for providing a discerning clientele with the highest standards of hairdressing and customer care, as proven by the salon's sweep of 3 awards in its first year including New Business of the year (2008). One of the keystones to Miller & Green's philosophy is finding and training the right staff, all dedicated to consistently providing high customer satisfaction by rendering excellent service and furnishing an enjoyable atmosphere. We are a small and friendly hair styling salon based in North Sydney. We are known for creating 'the best blonde in Sydney'. Our clientele come from all walks of life, which allows us to indulge in our love of traditional and modern hair styling. Most of our customers have been with us for years. When we ask why they say it is because we listen to them, rather than impose a style upon them. Having said that, we do love giving advice too, so never hesitate to ask! We have recently been selected as a L'Oreal Network Salon which means we have access to the latest technologies, products and methods in the industry today. This helps us give you, our valued customers, an exceptional experience every time you come to our salon. Whether you want a glass of wine or a cappuccino, Silence or a chat, Blonde or brunette, We've got you covered. Ever wondered how to get your dream hair? Professionals at CHARMIN Hair Style&Beauty can cater to all your hair needs. The staffs specialise in all types of perm including iron perm, Keratin and Shiseido magic permanent straightening. All type of hairs, formals, and special events are available at request. We are located at 123 Walker Street which is only a short stroll from the train station at North Sydney. Parking is available at the various parking stations and street parking surrounds the hair salon. Free parking is available on Saturdays. Look forward seeing you here! 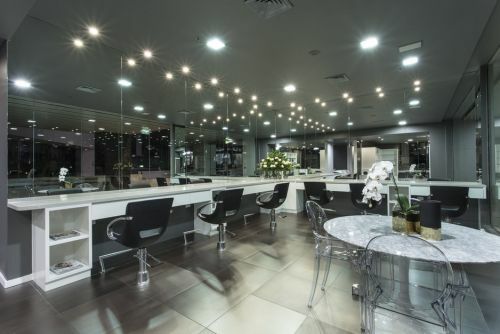 OZ10 is an upmarket hair salon in Berry Square, North Sydney. We cater for a variety of clients from business people to local residents. We also have many clients that travel from all over to have their hair styled with the latest looks. OZ10 has an abundance of loyal clientele who we welcome back time and time again. We have created a relaxed atmosphere within the salon with modern furnishings and warm relaxed tonnes. You can sit back in the lounge and enjoy a coffee or even a glass of champagne while our professional and friendly staff take care of the rest.